Full Description: We have variously sized and priced apartments and villas with moorings from 320,000€ to 1,000,000€ plus. Moorings sizes 12m x 3m to 16m x 4m and larger. 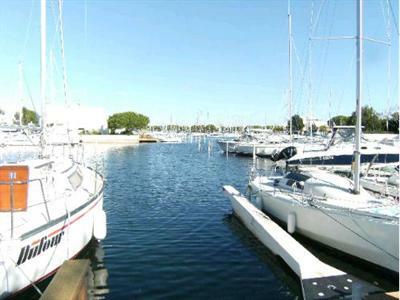 Photos left show a 1-bed 37m² apartment at Le Grau du Roi 30240 for 345,000€. Email me with your search requirements. Short Description: We have variously sized and priced apartments and villas with moorings from 320,000€ to 1,000,000€ plus.